So Who is Kelvin Doe? Kelvin Doe is a young inventor from Sierra Leone. At the age of 11, he started scavenging for scrap electronics parts from dump sites. He was incredibly curious about every piece of electronics he laid his hands on, so he started breaking these devices down and trying to understand how it works. With his curiosity, he taught himself how to repair radios and how to reverse-engineer and build electronic and electrical devices needed by his community. 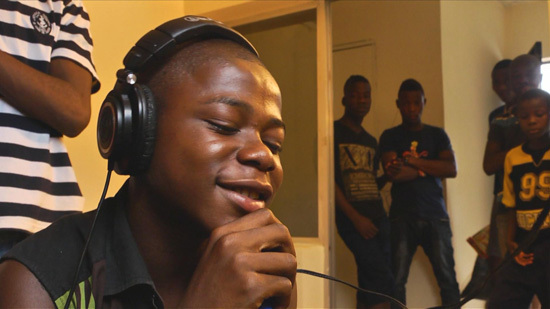 In 2010, at the age of 14, he created his own FM transmitter and used it as his community’s first radio station (keep in mind that during that time, in rural areas in Siera Leone, the radio is still the main source of entertainment). In 2012, at the age of 16, Kelvin, was awarded one of the top prizes in Global Minimum’s Innovate Salone 2012 and was selected to travel to the U.S. to speak at the “Meet the Young Makers” panel at the World Maker Faire 2012 in New York. Kelvin officially became the youngest ever “visiting practitioner” with the Massachusetts Institute of Technology (MIT) International Development Initiative.. He has also lectured to undergraduate engineering students at Harvard College. We can all agree, that Kelvin is a prodigy who defied all odds and succeeded despite poverty and abandonment. Kelvin is presently continuing his high school education at Prince of Wales secondary school in Sierra Leone. All the information about Kelvin Doe was collected from the videos within this post. Previous PostLuciana ZogbiNext PostProdigies, are they Reincarnated geniuses? Awesome really helped me.Kelvin is so smart!!!! WOW! Genius in deed,lesson to be learned by abandoned intelligence dear African Dad…You are hope of hopeless & inspiration to young one and motivator.